From the bright lights and emotion of the Los Angeles tribute ‘Avalon’, Markus Schulz travels north of the border to conclude quarter three of his 2015 city series presentation. A city defined by its after-hours culture, and a venue he himself describes as the Cathedral - Stereo in Montreal. Stereo has been fortunate enough to experience multiple open-to-close sets. 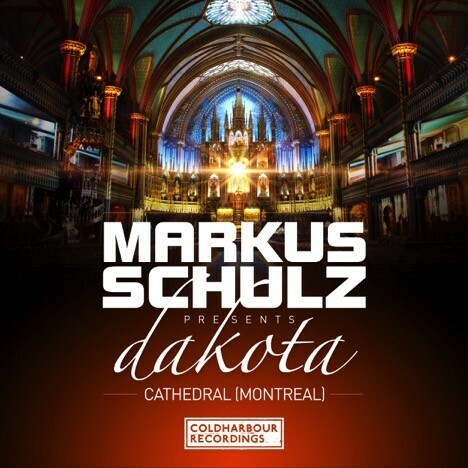 ‘Cathedral’ marks the first official release for Markus under his pseudonym Dakota for over a year. In many aspects, it’s a throwback to his earliest compositions under the name, habitually appearing on Bedrock and Yoshitoshi labels. As the largest city in Québec, Montreal is a diverse cityscape in which classic European architecture meets contemporary design. At the heart of the city lies the dramatic Notre-Dame Basilica. Hypnotic and infectious, it’s a catalyst for those of you who push the boundaries beyond the club’s peak hours, much like the producer’s open to close sets.